If you live around the Washington Square Park neighborhood, here's what you need to know about the Rochester Regional Health Flower City Challenge on Sunday. Up to 2,500 people will be running through our neighborhood as they compete in the half marathon or 5K road race. The event starts at 7:30 a.m. on Sunday, April 22, 2018. Wondering about road closures? 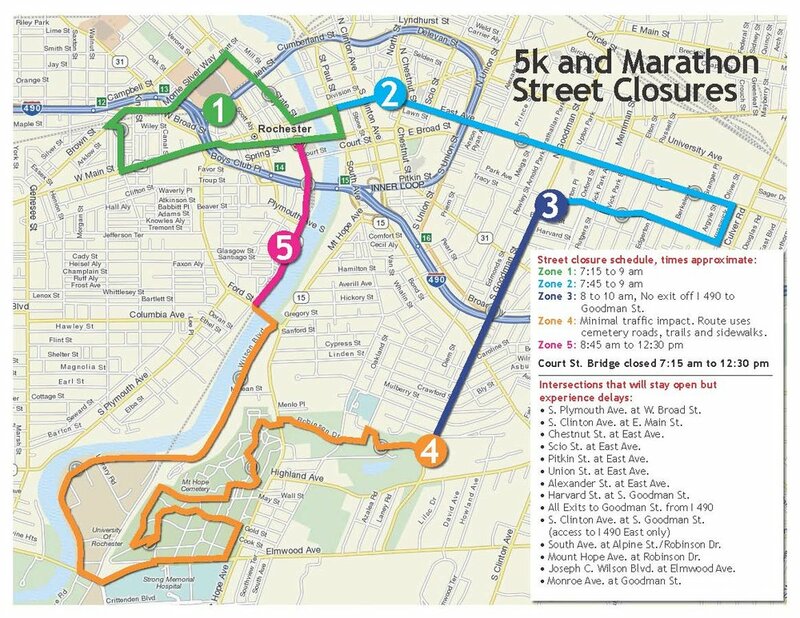 Check out this diagram with the approximate times of road closures. Please note that all times are "approximates."